This is an augmented edition of a superb volume by one of the foremost analysts of European institutions and ideas. 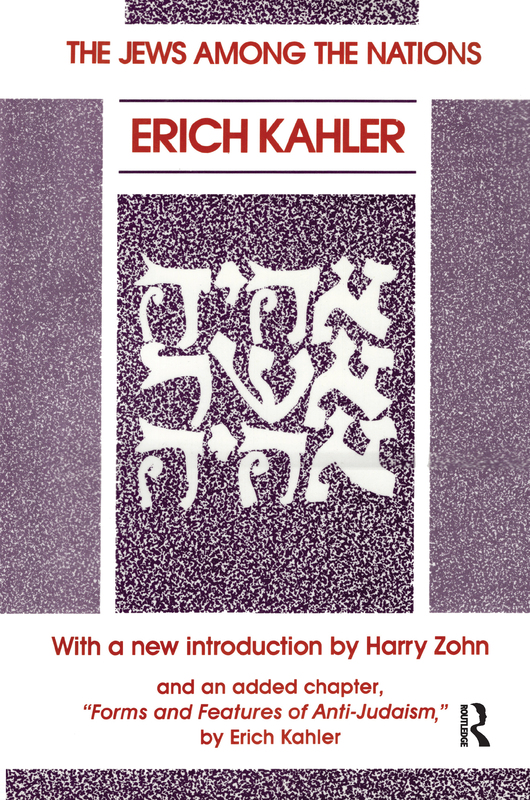 Here the late Erich Kahler turns his attention to the special character of the Jewish people, formed uniquely through the interaction of internal and external circumstances in which past and present merge.The chapters in this book deal with persistent problems of Jewish identity. Kahler claims these can be fully understood only by awareness of the close interconnection between the singular ethnic nature and the unique social structure of the Jewish people. He discusses the Jews in Europe, specifically the historical implications of a strict tribal ritual that yet permitted the widest spiritual scope.The second half of the book concerns anti-Semitism, in relation to Jews and Germans. How did the German people, seemingly so congenial to the Jews, develop a murderous revulsion against them, ending a long and fruitful symbiosis? Kahler sees this as a parallel to the parricidal rejection of the Jews by the Christian church. His argument is deepened in an added chapter, new to this volume, on the major forms and features of anti-Judaism, 'in which the earlier theme of the universal and the specific are seen as central not only to the inner history of Judaism but also to the specific interaction of Jews and Gentiles throughout social history.